Little Swan Lake Winery is a family owned and operated business located 1-1/2 miles north of the small town of Superior in Northwest Iowa. In May of 2002 our doors opened to the public. The tasting room, our remodeled 1920's barn, features 35 different wines all produced on site, a selection of gourmet cheeses, and buffalo meat from our own herd which roams nearby. Our vineyard consists of two acres of northern cold hardy grapes. 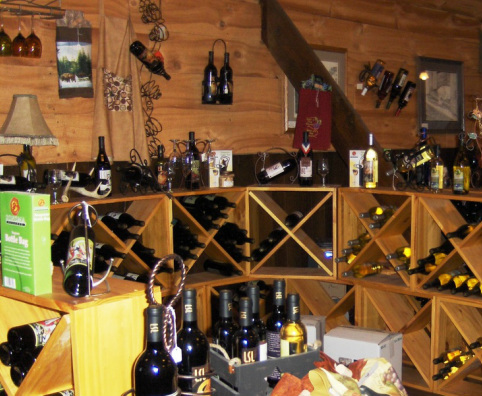 The gift shop features clothing and wine related items. We are dedicated to producing the finest and most enjoyable wines and invite you to spend an hour or an afternoon with us. Our newest addition, our bed and breakfast, opened in September of 2011. This renovated grain elevator is a great place to relax and enjoy the beauty that is Little Swan Lake!